Teach your Kids Table Manners with this One Simple and Fun Dinner Idea! 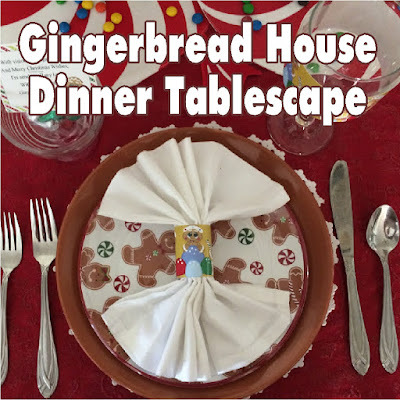 Have a fun Gingerbread dinner party with your kids while teaching Teaching your kids manners and fun with family dinner parties! With a little bit of effort and imagination, you can turn your dinning table into a place for good memories and not craziness with this fun and simple dinner idea.! With a little bit of effort and imagination, you can turn your dinning table into a place for good memories and not craziness with this fun and simple dinner idea. Do your kids have crazy "manners" at dinner? Is it a time when there is just no peace and it seems like a constant battle? I have a crazy solution for you. Now it's not going to work right away, but it will be a beacon to light the way as your kids grow and learn. Try throwing a dinner party for the family. I love to throw family dinner parties with the kids. It's a special time in our family when we set up for dinner different and that causes everyone at the table to act differently. You'll be surprised. 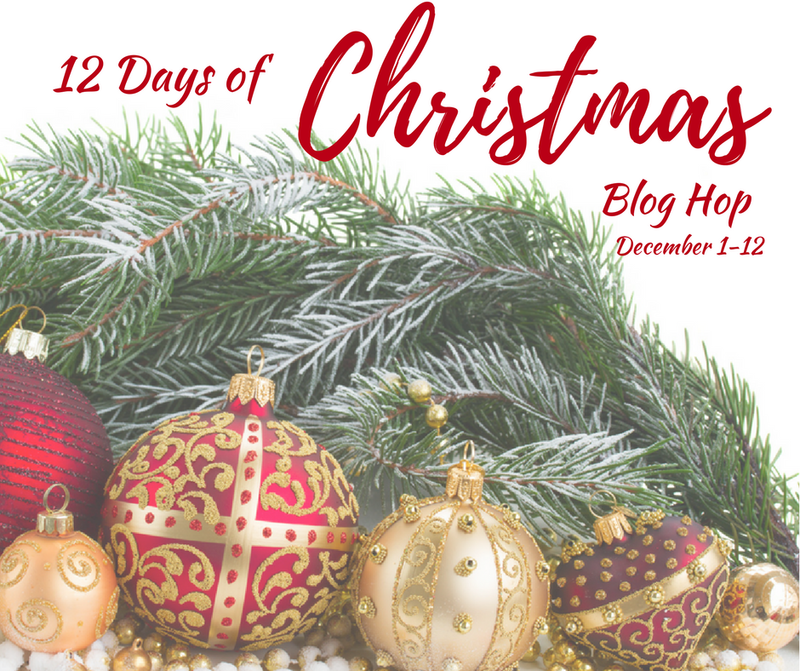 Let me and the other bloggers of the 12 days of Christmas blog hop show you some great dinner table places settings and dinner party ideas. So we started having nights where we broke out the "good china". We set the table up with centerpieces, candles, and nice goblets. It wasn't always a good dinner. Sometimes we had mac and cheese on china, but it was the setting. It was a time when the kids realized things were different. The candles lighted and special effort we put into it, was a feeling the kids could understand. It was a time when they could "practice" their manners and we could be polite and learn the basics of etiquette. With Christmas right around the corner, and the house dressed up like a Gingerbread House, I decided to carry that over to the dinner table with a Gingerbread House table scape. I started dressing the table with a red tablecloth that I've had FOREVER. It's a great idea to look for table cloths on clearance after the holidays or to find really cute material when it's on sale. Once you have collected the basic colors, it's easy to build almost any table theme from there. Since I was looking for a gingerbread theme, I checked out Hobby Lobby when they had their 50% off Christmas decor and found this Peppermint table runner. I love it because each piece buttons together to form a table runner or it can be separated to use as place mats. Versatility in your party pieces is a great way to save money and stress. In the center of my table runner, I put a Gingerbread house advent calendar from Hobby Lobby. I love gingerbread men and I love advent calendars, so my mom bought me this countdown calendar last year for Christmas. It has little doors for days 1-25 and you can hide a little candy inside to enjoy each day until Christmas. Super cute, right?!?! On each side of the gingerbread house, I added a light up gingerbread man and a gingerbread woman that I also found at Hobby Lobby on sale. They are made of metal and each of the buttons lights up. Super cute and it really gave the table some height and a focus. In between the house and gingerbread man, I purchased 2 tall glass pillar candles. Then I used red duct tape to make a candy cane design. I love to add candles since it really brings a sense of wonder and fun to the table, even as the kids get older. Lastly, I scattered M&M candies around the gingerbread men and added Hershey kiss salt and pepper shakers. I just love a cute set of salt and pepper shakers to bring the whole dinner party together. It's an extravagance that isn't really needed, but nice if you get a cute collection going to compliment different party themes. There are so many cute salt and pepper shakers out there that you could really go crazy if you let yourself, so be careful if you go down that rabbit hole. For the actual place setting, I used white doilies as chargers. I wish I had been able to find some 14 inch doilies, but I couldn't. It still looked cute (although didn't photo as well as I would have liked.) Sometimes you need to just go with it and give yourself grace to not let everything be as perfect as you would like. Your family will understand and not know the difference anyway. On top of the doily, I placed a brown plate that I found at Dollar Tree during football season. Plates are another fun thing to collect. If you get some basic ones, you can usually add a cute dessert or salad plate on top to bring in the design. I found these cute gingerbread dessert plates at Kohls. I really wish I had been able to get more for a complete set in case we ever have company again (and because I just really love Gingerbread men), but they were all sold out. In the center of the plate, I have a white napkin folded into an accordion shape and then spread out. The napkin ring is made from the Gingerbread man napkin and water bottle printable here. I simply cut it in half and taped it closed to hold the napkin together. I also used this Gingerbread water bottle label printable on the goblets. I cut the pieces and in stead of putting around a water bottle, I taped it around the middle of the goblet. It will need to be taken off before we drink, but it still was super cute. On the other top part of the place setting is a small dessert/salad cup. I found these at Dollar Tree some years back and bought them in red and green. Inside the cup, I added a Gingerbread Kisses bag topper and Hershey kisses as a special treat. 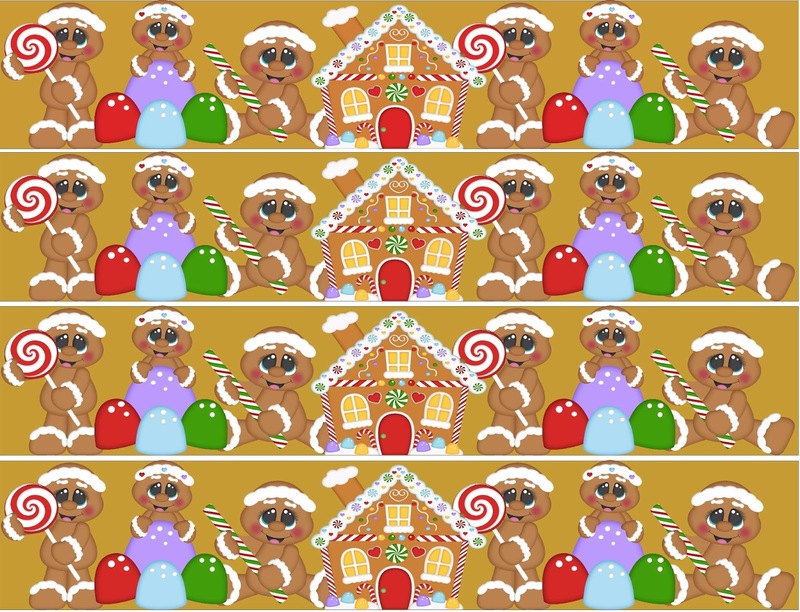 You can find the Gingerbread Kisses bag topper in our Printables store here. I am super excited with how the Gingerbread House dinner party table came together. I can't wait to have another fun family night dinner party with the kids. 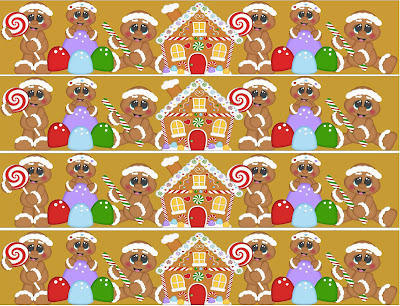 After words, will we enjoy making Gingerbread house for family night or play Gingerbread House bingo! Since starting this family tradition, the kids have learned that it's okay to be polite at the table, to use their napkins, and to pretend at least, to enjoy their food. It's definitely something we will keep doing so stop be sure to join our mailing list here for all of our party ideas with more dinner parties to come!